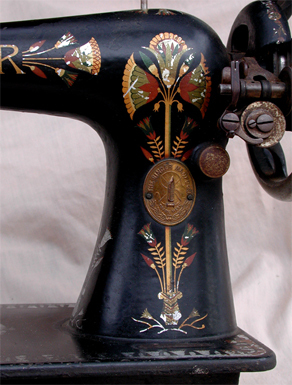 Pictured above is the head of a Singer sewing machine with the very attractive lotus pattern. 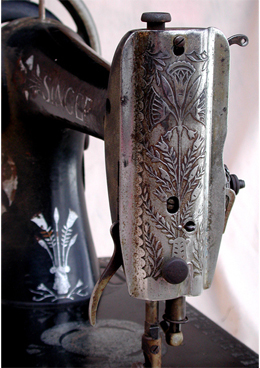 The head had been removed from a treadle cabinet when we purchased it. We have never tried to get it operable since we don't have an extra base to accommodate it. We wanted to add this pattern to our collection since we already have the "Redeye." You can link to our Redeye at the left. 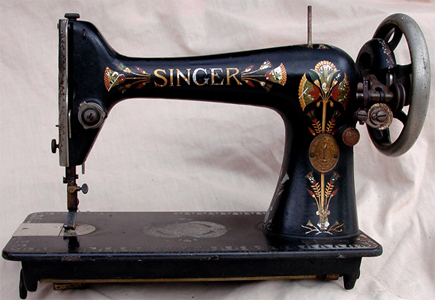 Serial number of this Singer is B269492 and made during 1904.